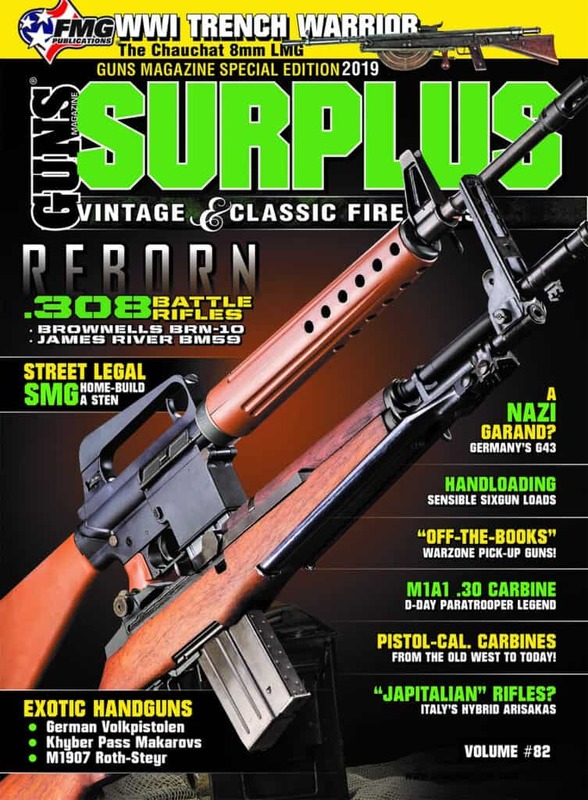 (ArmsVault.com) – Insightful perspectives on some of the most influential firearms that helped shape world history and a variety ways to build a collection of battle-tested and replica pieces lead the charge in the 2019 Special Edition issue of GUNS Surplus Vintage & Classic Firearms. Italy’s BM59, originally developed by Beretta, based off of the American M1 Garand, featured some fairly radical modifications when it debuted in 1959. Now, fans of the Cold War-era rifle have the opportunity to own one with James River Armory’s (JRA) model chambered in 7.62x51mm. “Italy’s BM59 Reborn!” highlights the exacting details and journey JRA undertook to include original parts into their classic offering. “Those of us who are fans of classic Cold-War era battle rifles owe a debt of gratitude to James River Armory for taking on this project. 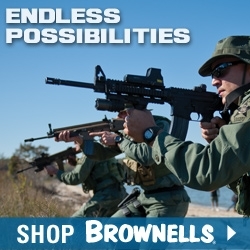 [They’ve] given today’s shooters a chance to own an amazing rifle,” suggests author Frank Jardim. An authentic surplus CZ82 from Century Arms tops this Special Edition’s gun giveaway. Chambered in 9mm Makarov, the rugged steel-frame pistol was Czechoslovakia’s service and police pistol from 1983 to the 1990s. 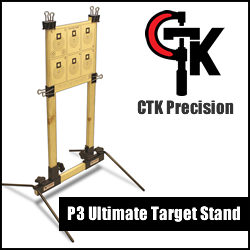 A shoulder holster with magazine pouch and 300 rounds of Red Army Standard ammo accompany the prize. 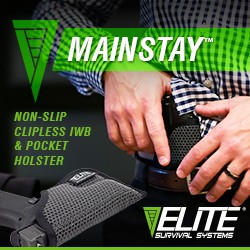 Readers are invited to enter the drawing for free by visiting www.gunsmagazine.com/giveaway. Surplus also asks, “Was the Chauchat LMG was the worst gun ever?” Its reputation may not be as bad as some suggest, and it arguably deserves praise for being ahead of its time. “Last-Ditch Defense” reveals how, in the finals days of WWII, Germany pressed Walther to ramp up production of the Volkspistole in a desperate attempt to arm its forces. Surplus collectors will find “Arms Of The Free World” particularly interesting; the Civilian Marksmanship Program’s recently acquired Garands and M1911s will be up for grabs soon! 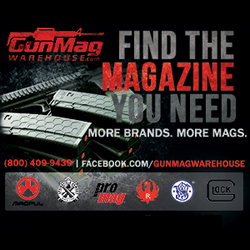 The GUNS Surplus 2019 Resource Guide rounds out the issue with point of contact information for surplus guns, uniforms, ammunition, accessories and more. 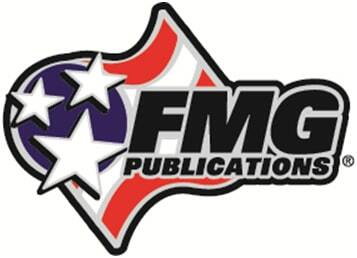 To purchase the 2019 GUNS Surplus Special Edition, visit your local newsstand or order online at www.fmgpubs.com/surplus19.